People living on less than 1.90 dollars a day have fallen to record low of about 655 million – or nine per cent of the world’s population. 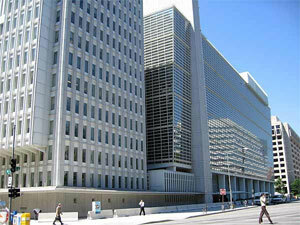 Meanwhile, a global target of ending extreme poverty by 2030 is unlikely to be met, the World Bank said on Wednesday. Without significant shifts in policy, about 480 million people – some six per cent of the world – would remain in extreme poverty in 2030. “The global poverty rate is now lower than it has ever been in recorded history. “But if we are going to end poverty by 2030, we need much more investment, particularly in building human capital, to help promote the inclusive growth it will take to reach the remaining poor,’’ World Bank President Jim Yong Kim said. Ending extreme poverty by 2030 is a key target among 17 ambitious global development goals agreed at the UN in 2015. But at least 10 per cent of people in sub-Saharan Africa would remain in extreme poverty by 2030 “under all but the most optimistic scenarios,” the bank said. The world is not giving enough aid – with many countries missing a UN target of spending 0.7 per cent of economic output on aid – or directing it toward those most in need, the London-based Overseas Development Institute think-tank said last week. “Middle-income countries get 10 times the amount of aid that low-income countries do. ”That clearly isn’t a sensible way to give aid,” the report’s author Marcus Manuel told the Media. “We need to flip that, Selim Jahan, Director of the UN Human Development Report Office – which produces an annual report on key indicators like health, education and income – disagreed with the ODI’s analysis, though he agreed more funding and actions were needed.